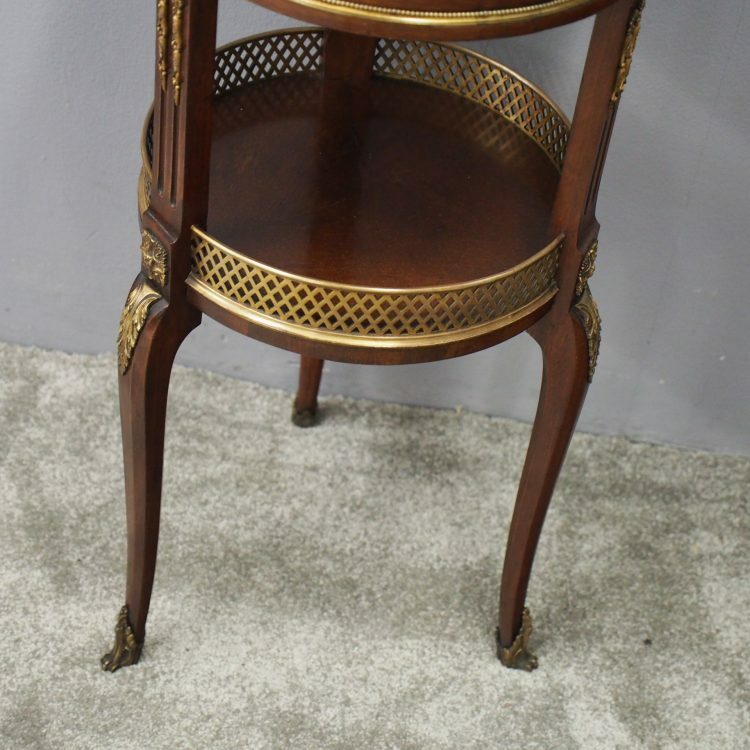 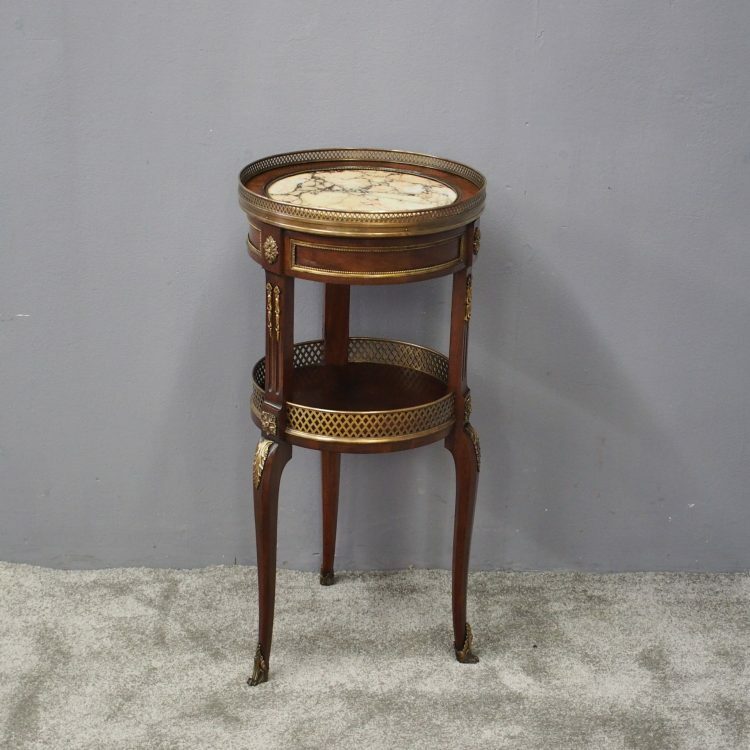 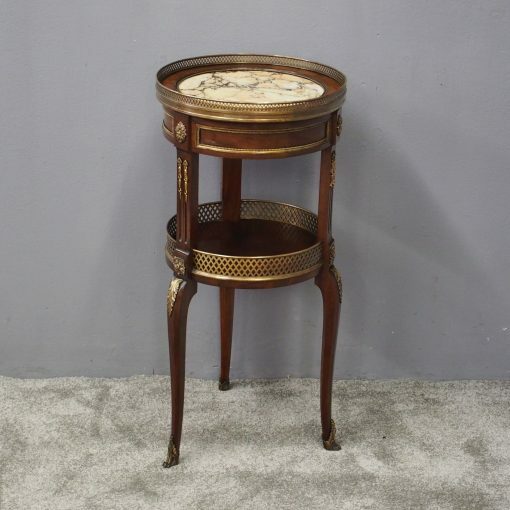 Circa 1880, French brass mounted, mahogany two tier occasional table. 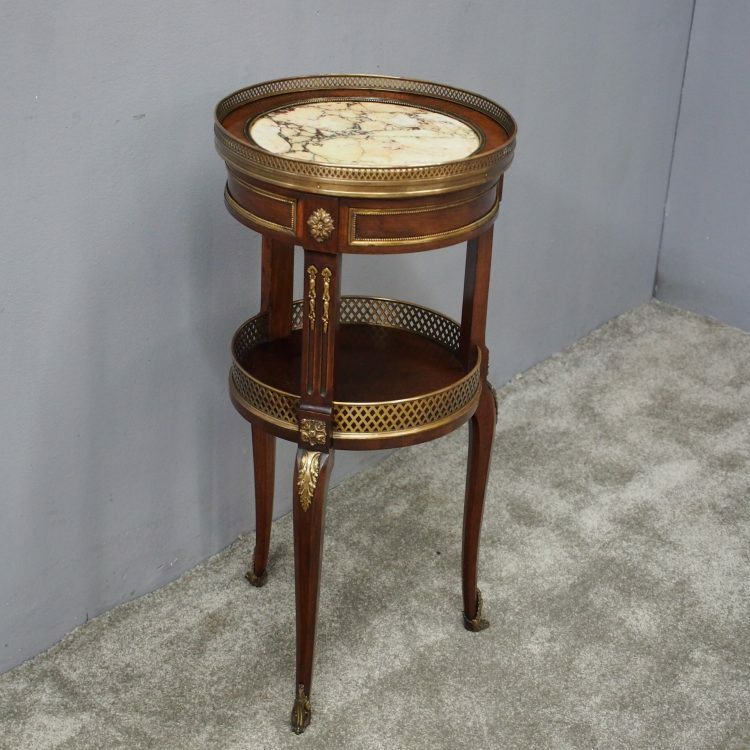 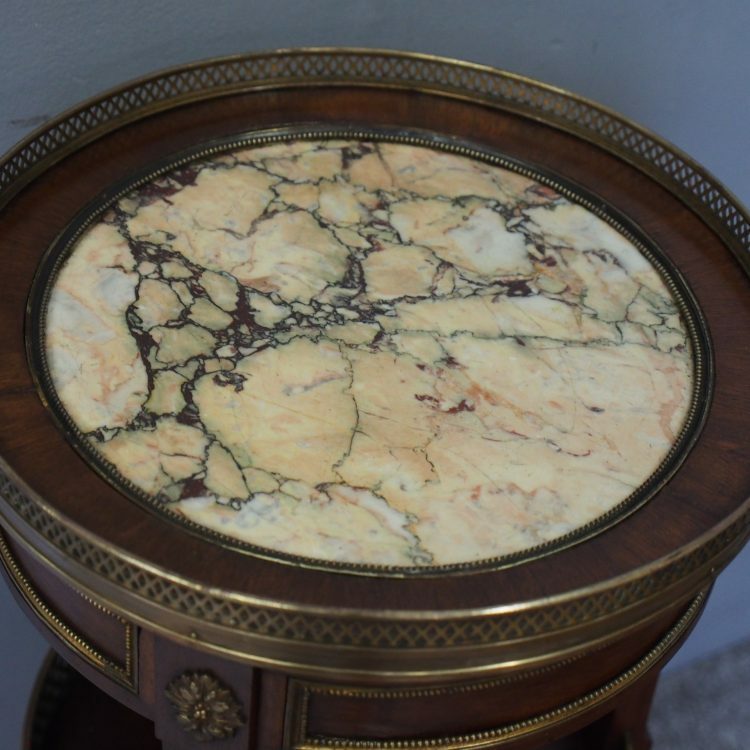 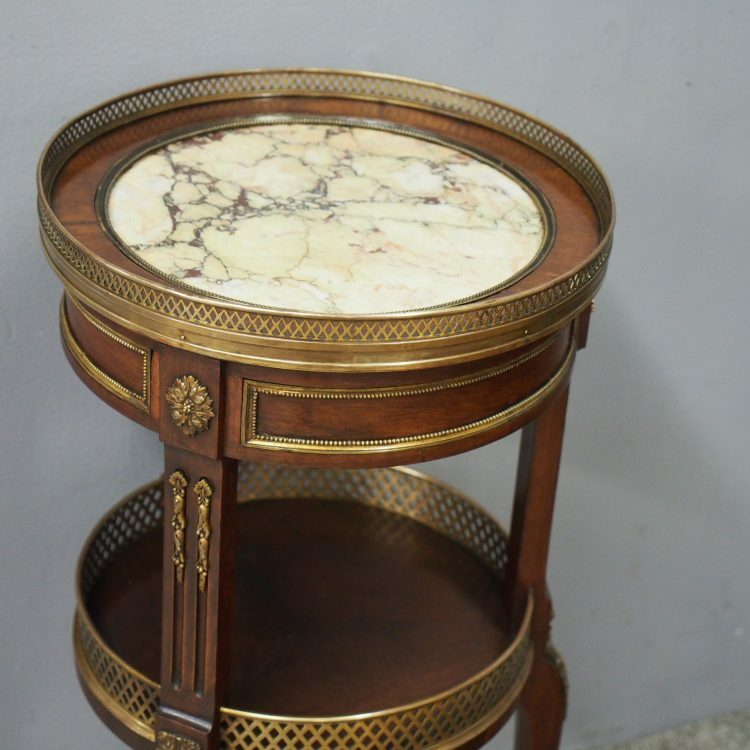 The circular mahogany top with pierced brass gallery and variegated marble inset is over a panelled and brass-beaded frieze containing two hidden drawers. 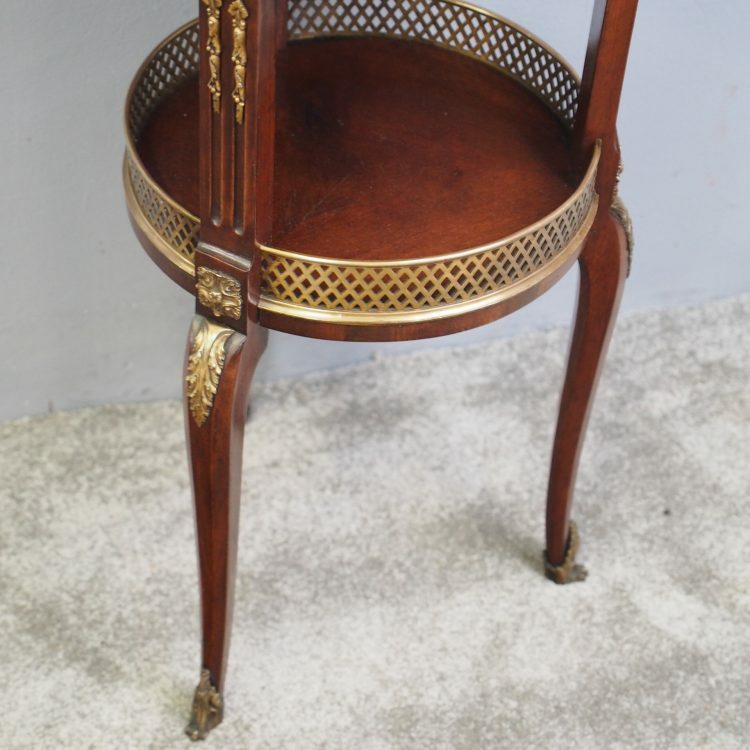 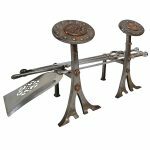 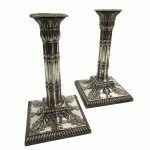 This is all on cabriole legs with extensive brass mounts and sabots supporting a lower mahogany galleried tier.